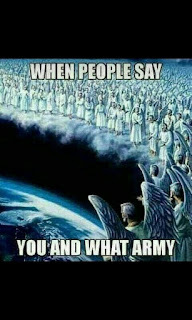 The Army of God defends us! As Christians today, we may sometime feel outnumbered. 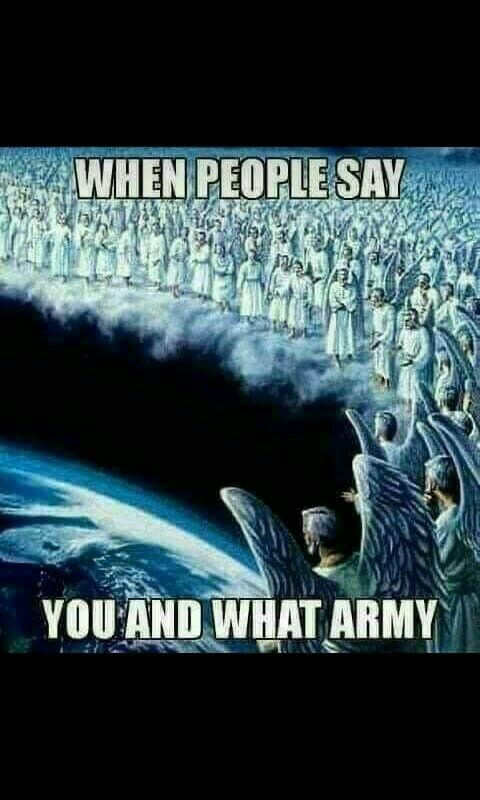 As children of the Lord God most high, we have the army of God protecting us, and standing with us ! This is reason for us to rejoice this day, and not be afraid of anything that Satan is trying to accomplish in our world, or our in our lives. We already know what his end will be!